The Dassler schufabric opened in Germany (1924). 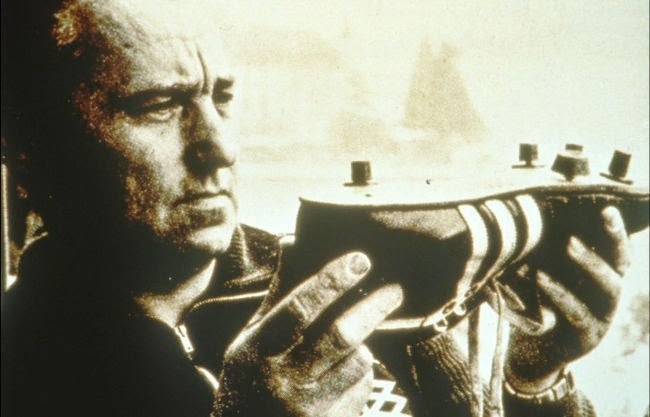 Adolf "Adi" Dassler and his older brother Rudi saw the potential need for recreational footwear and started making athletic shoes in 1925. At first, they made soccer boots and running shoes and these remain the two main selling lines to this day. Their factory was in the small German town of Herzogenaurach, and Adi Dassler made his shoes from US Army surplus materials (WW1). His reputation grew in soccer circles in part due to the innovation of replaceable cleats. Adidas were the first sports manufacturer to use a logo (1949). Initially the three side strips had a practical function by adding lateral support and stability to the mid foot. The three stripes now associated with Adidas shoes were to celebrate the designer's three sons. 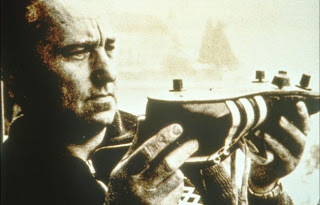 The company supplied the winning team of the FIFA World Cup Switzerland 1954 with adidas boots. West Germany beat Hungary in the finals and Helmut Rahn scored the decisive goal wearing adidas boots. The marketing potential of this feat (excuse the terrible pun!) was not lost on the company’s executives. In 1963 adidas started to produce soccer balls and by 1970 they had become the official sponsor of the FIFA World Cup with the first ever official ball for the competition e.g. The Telstar. 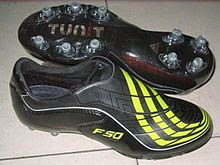 The adidas F50 line of boots has became adidas’s signature line of customizable, lightweight boots. The name “F50” refers to the year 1954 when West Germany won the World Cup in the then ground-breaking boot design with removable studs. The world's best-selling soccer shoe, adidas Mundial Team (Copa Mundial) TM was introduced in 1979 . This boot continues as an evergreen. Originally crafted for FIFA World Cup Spain 1982 the boot carries "an approved by FIFA " label on sole. The boots are available in narrow fittings and the sole unit has a double density (bi-density) construction. There are two models. 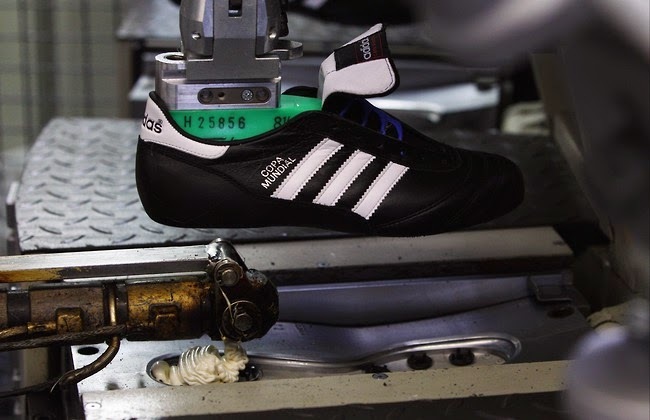 The hand stitched Mundial, is manufactured in Germany and worn by professionals and the Indonesian boot which is made from less superior materials. Both boots appear outwardly to be the same but details of where the boot was manufactured appears on the tongue label. Manufacturers warn the glues used to adhere upper to sole may be incompatible with dubbin and cause separation and recommend black boot polish, instead. North America is the top soccer market for Adidas, and bigger than both Europe and South America, which may come as a surprise considering soccer is considered "the only sport" in those parts of the world. In 1994 the company introduced the Predator TM. The boot concept was the brainchild of Australian Craig Johnson (formerly Liverpool FC) and is considered to be a significant development of the soccer boot allowing players more control, swerve and power on the shot. 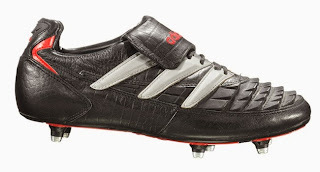 In 2000 adidas introduced the Equipment Predator Precision TM . The new generation upper now consisted of a series of projections designed to increase the coefficient of friction between shoe and ball. The theory is the faster the ball spins the more swerve occurs. And the manufacture claims the Equipment Predator Precision TM allows a 20% improvement in ball swerve. Improved surface contact across the dorsum of the boot increased the 'sweat spot' area with which to accurately hit the ball. Further reinforced sections of the boot provided support for side footing. According to the manufactures the upper construction gives better return properties, which increase ball velocity once kicked. The Adidas Predator TM was worn by many players at the FIFA World Cup Korea Japan 2002 . The adidas Traxion TM system describes a cleat configuration which gives an extended base to the foot, this is thought to reduce harmful rotational forces from passing up to the knee. The stud pattern also optimises ground traction allowing for an efficient take off in accelerated movements. At the FIFA World Cup France 1998 Adidas paid $40 million US to sponsor the competition and the French team were kitted out in adidas apparel. adidas were the major sponsor of FIFA World Cup Brazil 2014. and outfitted nine national teams. (including four of the favourite teams i.e. Spain, Germany, Argentina and Colombia.) These were: Argentina, Bosnia and Herzegovina, Colombia, Germany, Japan, Mexico,Nigeria, Russia and Spain.